This document covers BGA component rework process flow instructions. This document has been prepared by Circuit Technology Center, Inc. The purpose is to ensure repeatable, high quality rework of BGA components, and to assure conformity to the highest industry standards and specifications. This document covers procedure and guidelines specific to BGA component rework conducted by the staff at Circuit Technology Center, Inc. Organizations using this information may need to make modifications, or other changes, to accommodate their own particular needs. Upon arrival, each BGA component rework project will be reviewed by the Circuit Technology Center Sales Department. Personnel will refer to BGA Rework Process Worksheets when evaluating potential BGA rework projects. Only appropriate scheduling personnel are authorized to schedule a completion date. If the BGA component rework project appears to be one that has been processed before, it should be checked in the BGA Rework Process Worksheets. If the BGA component will require reballing, or if the BGA component site will require modification, or repair, appropriate scheduling adjustment may be required. Sales Department personnel will inform Production Manager about any complexities to assure appropriate scheduling. For all new projects the circuit board(s) and BGA component(s) must be evaluated according to the BGA Rework Process Worksheet. New BGA component rework projects require the following items to develop a proper rework profile. (1) Assembled profile circuit board. (3) Profile components for each BGA component rework location. Customers must be made aware of the necessity of these profile boards and components. In most cases it will be impossible to proceed without these items. If these items are not available, BGA rework projects must be reviewed on a case by case basis. Much of our current profiling is done using the AirVac Smart Trac System. This profiling system eliminates the necessity of drilling into the board substrate in order to collect temperature data. However, one to three reflow cycles will be needed to determine the proper profile of the component location. When an appropriate profile circuit board is not available, the actual circuit board may be exposed to multiple reflow cycles to determine the proper reflow cycle. These multiple reflow cycles may degrade overall reliability. Fill out the required information. If unsure whether the board has been worked on previously, see the past BGA Process Worksheet. If all items are present, work with the appropriate scheduling authority for a schedule date. If any of the items are missing, discuss the shortage with the Sales Department and notify customer if needed. Once the BGA rework project has been quoted it should be forwarded to Customer Service for order entry and customer approval. If there are any outstanding issues including: ordering stencils, nozzles, or reballing, ensure that the BGA Rework Department is notified as soon as the order is approved. When coding BGA projects use only the approved codes. The continual changing of board/component part numbers makes it difficult to determine whether a particular circuit board and component location has previously been reworked. Refer to BGA Process Worksheet before beginning each repeat project. Small Orders - Deliver directly to the BGA rework area with appropriate labels. Loose boards with parts will be loaded into racks marked "Incoming". Small boxes with parts will be brought to the rack marked "Incoming Boxes". Large Orders - Deliver to incoming holding area for staging. Verify circuit board and component part numbers and quantities against the customer packing slip and Circuit Technology Center sales order. Determine the correct nozzle, stencil, and rework profile. Ensure circuit board will fit on the base of the BGA rework machine. Over-sized boards may require special handling. Review BGA Machine Preventive Maintenance Schedule. Ensure the appropriate checks are done prior to operating BGA rework machines. Remove BGA components from packaging. Place BGA components into a labeled tray. Tray must be labeled with Customer Name, Sales Order No., Baking Start Time/Date. Bake BGA components at 125 C for 24 hours. After baking allow parts to cool to room temperature and immediately place into sealed moisture barrier bags. Bags must be labeled with Customer Name and Sales Order number. Bags must be placed into desiccant chamber. Operators should initially review all paperwork. Assess circuit boards to determine need for any disassembly or component masking. If disassembly is needed all materials must labeled and instructions written to ensure that materials are replaced after rework. If this is the first piece in a larger order it may require formal First Piece Inspection. See the Production Manager or Inspection for guidance. Use the designated reflow profile if available. If the reflow profile is not available on the particular BGA rework machine the profile may be transferred from another machine. 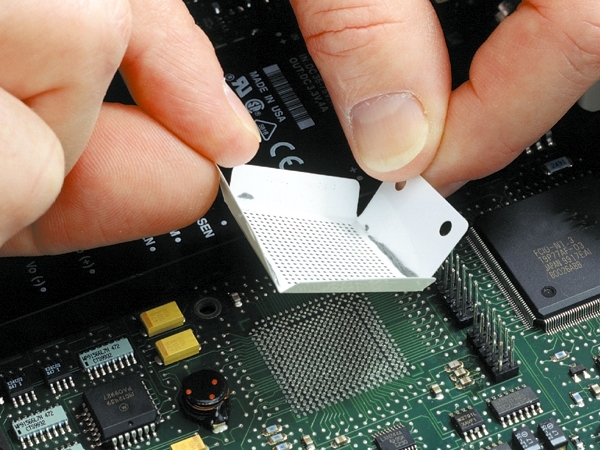 If no profile is available, an existing profile that closely matches the component and board size, may be used. All parties must be aware of the inherent risk in using common profiles.